Our amazing party bus for kids cover the North East region. Professional party bus hire. 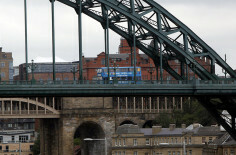 We think its the best party bus in Newcastle! Easy to book and lots of fun for the whole family.